We know about Diana’s birth, but in this preview of WONDER WOMAN #35, it’s her twin brother’s childhood that takes center stage. Didn’t know Wonder Woman had a brother? Well, until pretty recently, neither did she. 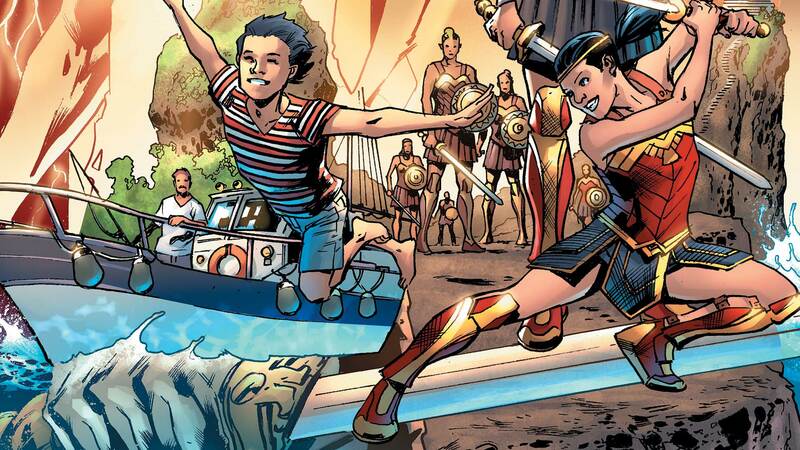 Diana first learned of her twin sibling, Jason, after battling Darkseid and his daughter Grail during Geoff Johns’ “Darkseid War.” Earlier this month, she met him for the very first time. And in this week’s WONDER WOMAN #35, we finally learn his story. Who is this mysterious man who has upended everything Diana thought she knew about her life? WONDER WOMAN #35 by James Robinson, Emanuela Lupacchino, Ray McCarthy and Romulo Fajardo Jr. is in stores this Wednesday.